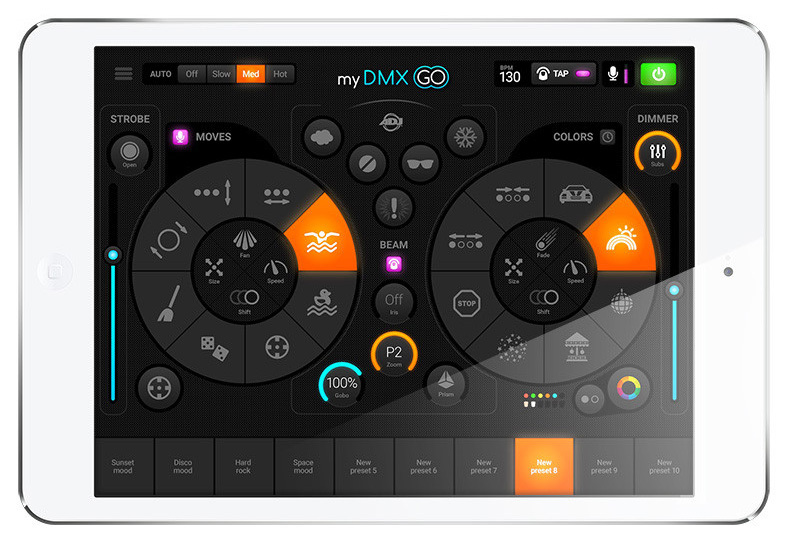 In addition to the main FX wheel controls, dedicated buttons are also included within the interface for GOBO, Iris, Zoom and Prism. 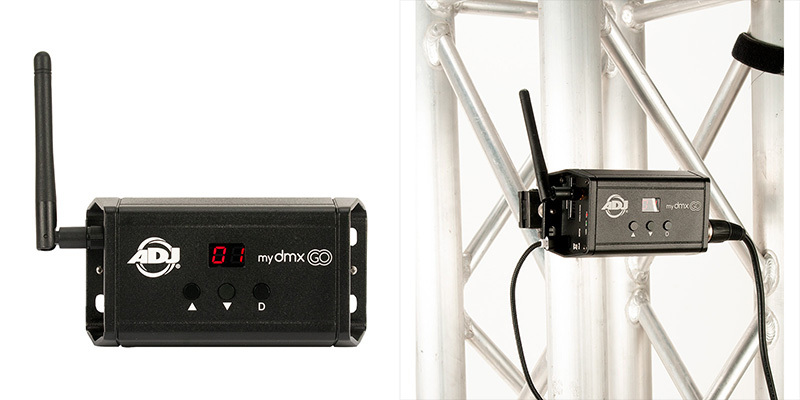 This allows the software to be used to control even professional-caliber moving head fixtures with advanced feature-sets. There are also five ‘flash effect’ buttons that can be used to easily add impact when the music reaches a breakdown or climax. These are: WOW! (creates a build-up of strobing effects synchronized with the BPM), Blinder (directs all lights forward and switches them to white), Freeze (pauses the current movement / color effect), Smoke (triggers a DMX-compatible fog machine) and Blackout.